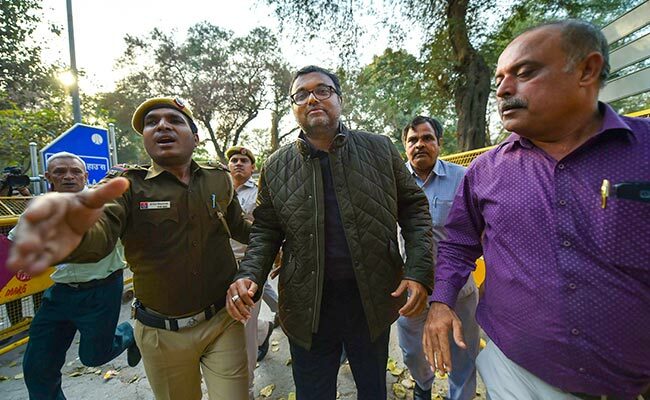 Karti Chidambaram was arrested in connection with the INX Media case in which the CBI has alleged that he was paid $1 million as bribe by the media company through foreign entities. New Delhi: A long legal battle is in the offing for senior Congress leader P Chidambaram and his son Karti Chidambaram as the father-son duo are in the radar of the probe agencies in another case concerning the Aircel-Maxis deal. While Karti was arrested in connection with the INX Media case in which the CBI has alleged that he was paid $1 million as bribe by the media company through foreign entities, Mr Chidambaram's role in granting FIPB approval to a offshore firm in the Aircel-Maxis deal is also under investigation by the agency. Karti is fighting legal battles in the Supreme Court, the Madras High Court and the trial court, while Mr Chidambaram has knocked at the doors of the top court apprehending "continued harassment" to him and his family members through investigations being conducted by the CBI and Enforcement Directorate (ED) in these two cases. His plea in the supreme court assumes significance as the CBI, in its charge sheet before a special court in the Aircel-Maxis case in 2014 against former telecom minister Dayanidhi Maran and others, had said it was probing how the then Finance Minister P Chidambaram had granted Foreign Investement Promotion Board (FIPB) approval to a deal involving a foreign firm when only the Cabinet Committee on Economic Affairs (CCEA) was empowered to do so. In April last year, the CBI had informed the Supreme Court that it was probing Mr Chidambaram's role in the alleged irregularities in grant of FIPB approval in Aircel-Maxis case. Mr Swamy had filed a private complaint in the 2G spectrum allocation case and the alleged scam in the Aircel-Maxis deal that had cropped up during the CBI probe. On January 4 this year, the top court had directed the centre to file a status report on the probe being conducted in the Aircel-Maxis deal case. The CBI had claimed that Global Communication Services Holdings Ltd had sought FIPB approval for 800 million USD for which only the CCEA was competent, but Chidambaram had given approval to the firm in March 2006. An FIR, filed by the CBI on May 15 last year, had alleged irregularities in FIPB clearance to INX Media for receiving overseas funds to the tune of Rs 305 crore in 2007 when Mr Chidambaram was the Union finance minister. Mr Chidambaram, in his petition before the supreme court, has said that his fundamental rights were being violated due to "illegal" investigations being carried out by the CBI and the ED and the central government has been "misusing" its probe agencies.